There was a time in Greek History when there was a skate and/or street fashion shop in every corner of the city of Athens. Literally a skate shop in every corner in every major city in Greece. That was back in the 2005—2010 era, right before the storm of the financial crisis, and right before we said goodbye to the safe bubble we were living in. I still remember working on the marketing side of things for some major action sports and street fashion brands when sales numbers in Greece were close, and in many times higher than countries like Germany or UK. Crazy, huh? Greece in 2014 has seen more than half of its skate shops close, but there are still a lot of rad ones around that remain true to the game and loyal to the local community. AYCE aka All You Can Eat is among the new breed of high end street boutiques in downtown Athens in the Kolonaki area, and one of the key The Hundreds accounts in Greece. Celebrating two years of existence this August, AYCE’s owner Vangelis Monachus – coming from a background in music and fashion sales – has done a great job in bringing together a unique blend of brands under one roof. 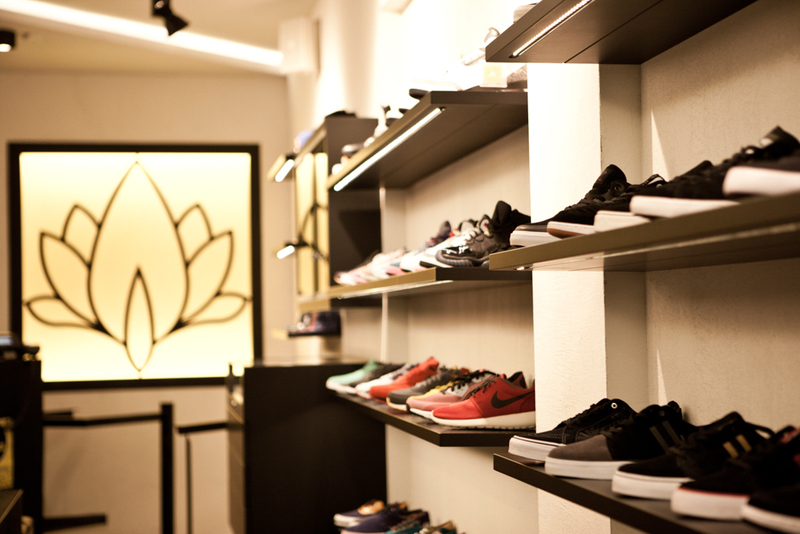 AYCE is also the key account in Athens for Diamond Supply Co, HUF, and Black Scale, and if you also add selected pieces of Nike, adidas Originals, Vans, Stussy, Polar Skate Co, RETROSUPERFUTURE and more, you can get a good idea of the shop. MANOS: When did you open AYCE and what were the first challenges you had to face? VANGELIS: AYCE opened it’s doors in late Summer 2012, 28th of August specifically. Our main challenge in the beginning was to find the right [financial back up], since the banks in Southern Europe and in Greece especially, had – and still have – their doors closed for young business ventures. Another big challenge was to come in a deal with many brands that never in the past had presence in the Greek fashion market. Why did you choose the fancy Kolonaki area in downtown Athens for the location? We wanted our store to be located in downtown Athens, especially in an area with people who can support a more premium and high end fashion market. Athens flagship stores for brands like Gucci, Balenciaga, and Louis Vuitton are really close to ours, and I am sure sometimes for them it’s a weird and beautiful mix and image to see skaters, hip-hop heads, and tattooed kids around. Another important factor is that the access to the store is very easy – just a 5 minute walk from the central Syntagma Metro station. 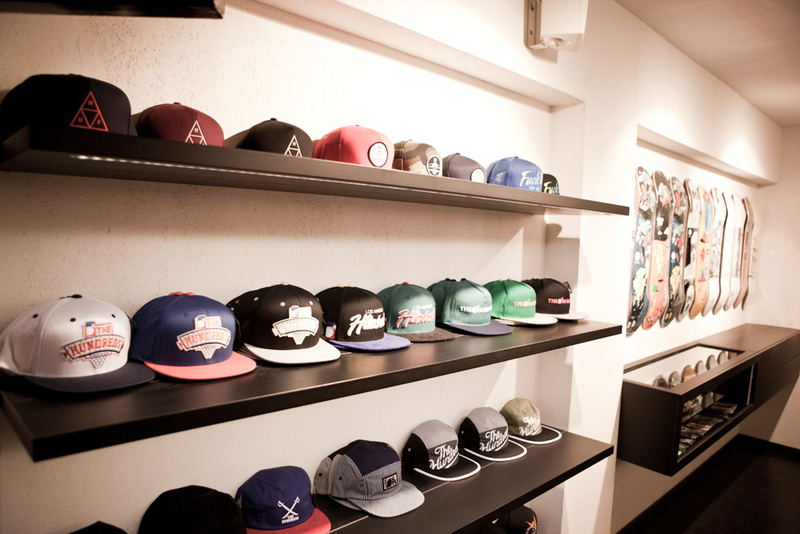 AYCE is the key account in Athens for brands like The Hundreds, HUF, Black Scale and Diamond. 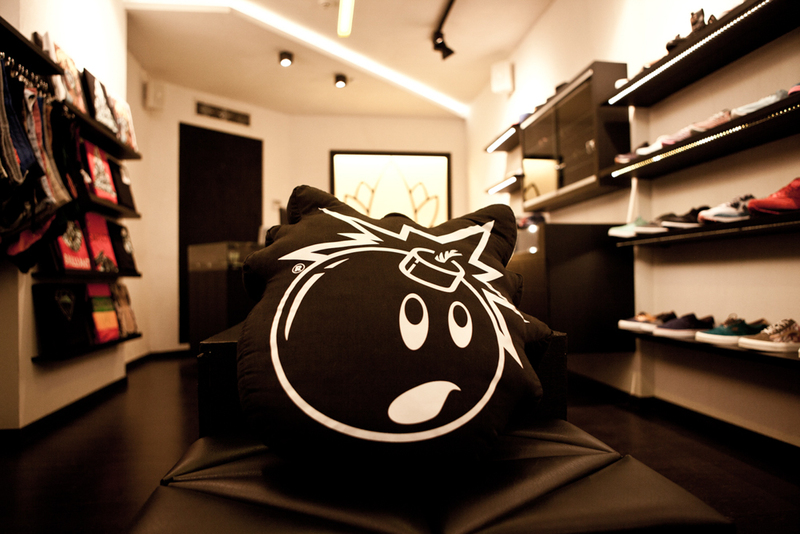 Was it hard to educate the customers here who might not be accustomed to streetwear? We’ll never stop educating and talking to our customers, because many young folks still don’t know much about streetwear, even in a digital age where they can see all of the [brands and trends] on the internet… I was impressed, though, by the people in the music community because they already knew of these [streetwear] brands. They were buying online for all the past years and seemed like they were waiting for a retail spot like AYCE to open in town. The funny thing is that the skaters are the ones who are still not acquainted and not much aware of the streetwear world. But after two years of operation and hard work, things have started to drastically change. Our effort to educate the customers and retailers never stops, since we also officially represent and distribute these brands in Greece. 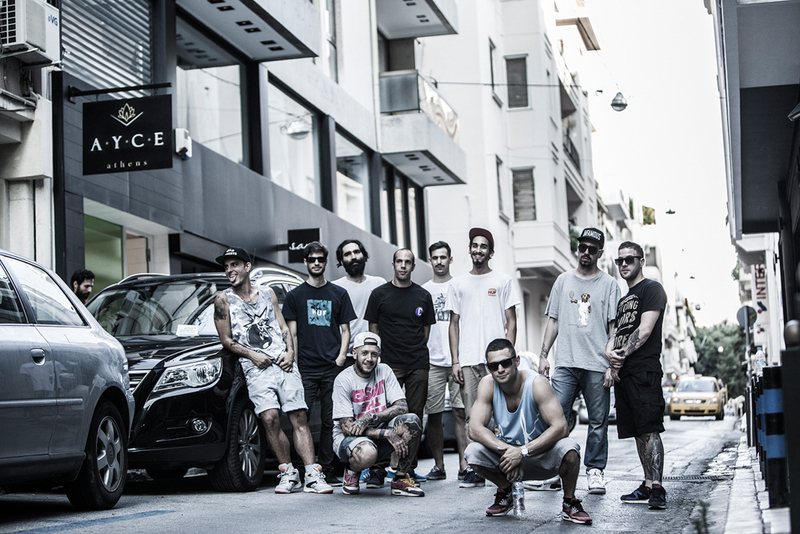 AYCE’s skate team, and a number of emcees, DJs and producers we support, are by far the cream of the crop in Athens. The most important thing – besides the raw talent each one of them has – is that they are positive thinkers. We are very proud of the family we have built around AYCE. 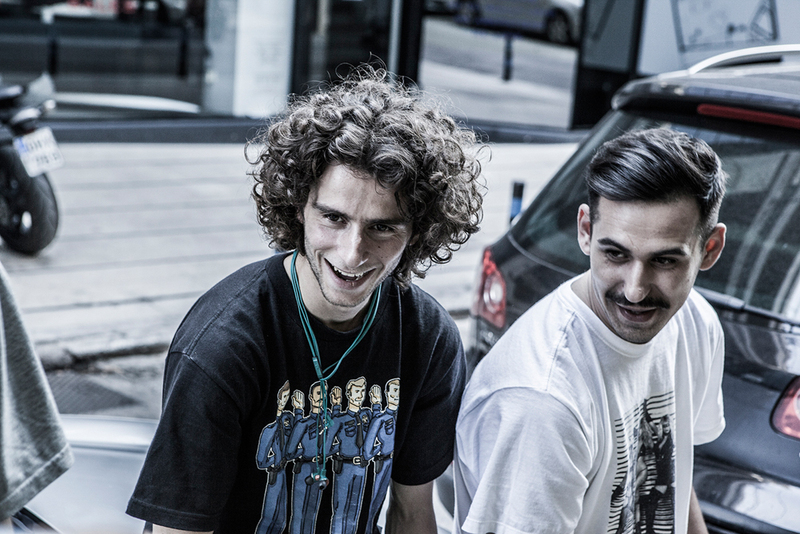 The skate team consists of the young skaters Thodoris Chalaris, Konstantinos Mavridis and Alex Sitaras. Rad to the bone indeed! 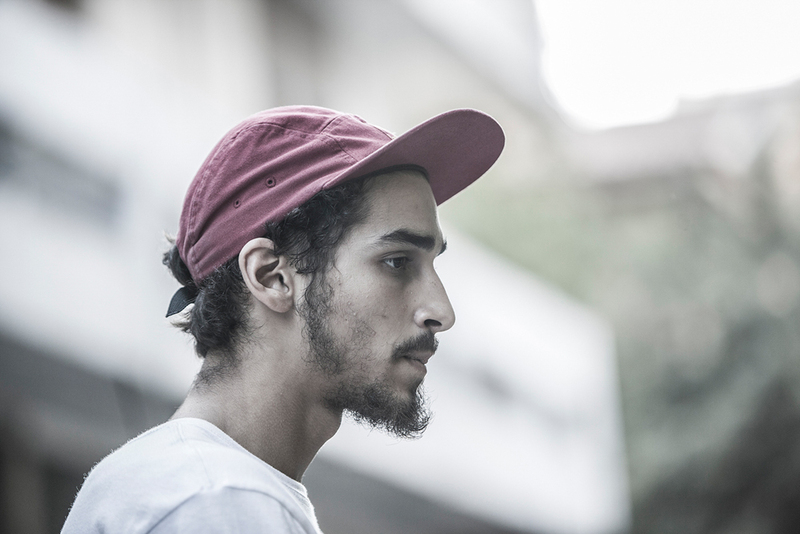 Thodoris Chalaris: A young gun from the southern suburbs of Athens, and a real positive force in the new skate scene of Greece. Representing AYCE, Diamond, and HUF. 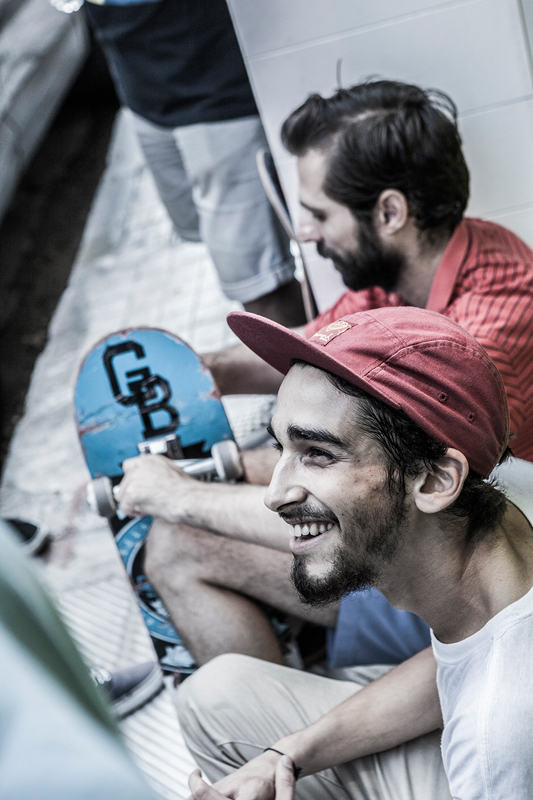 Konstantinos Mavridis: Coming with a second position at this year’s Volcom “Wild In The Parks” skate contest in Athens, Konstantinos is a real hammer. Representing AYCE, Diamond, and HUF. 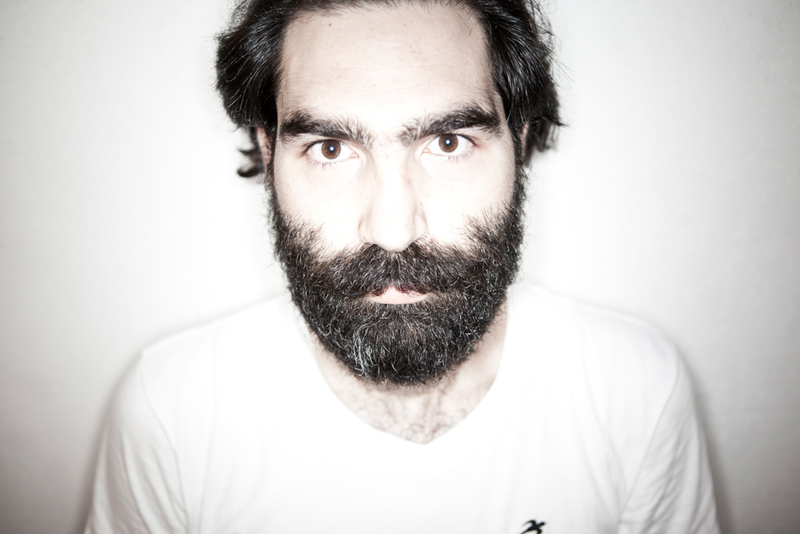 Bibo: Living in-between Athens and London, one of the most serious players when it comes to collecting Supreme. 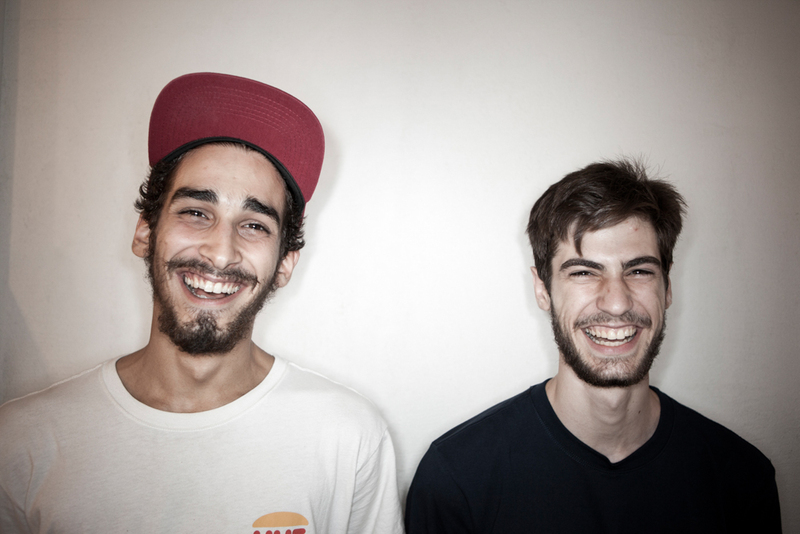 Konstantinos & Thodoris: 2/3rds of the AYCE skate team (together with Alex Sitaras, age 14). Eversor: One of the best hip-hop/beats producers of Greece, his new Lacrima Of Iris album is full of bangers. 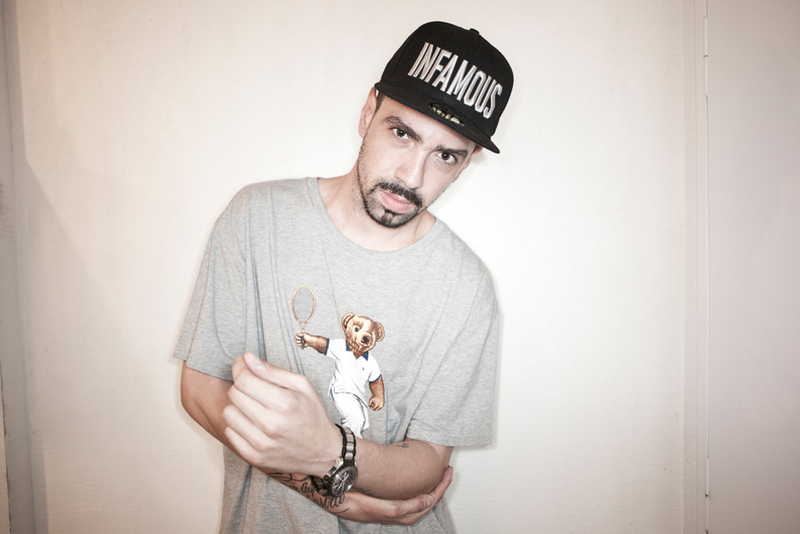 He has produced for international artists like Joell Ortiz, Main Flow, Ruste Juxx and more. 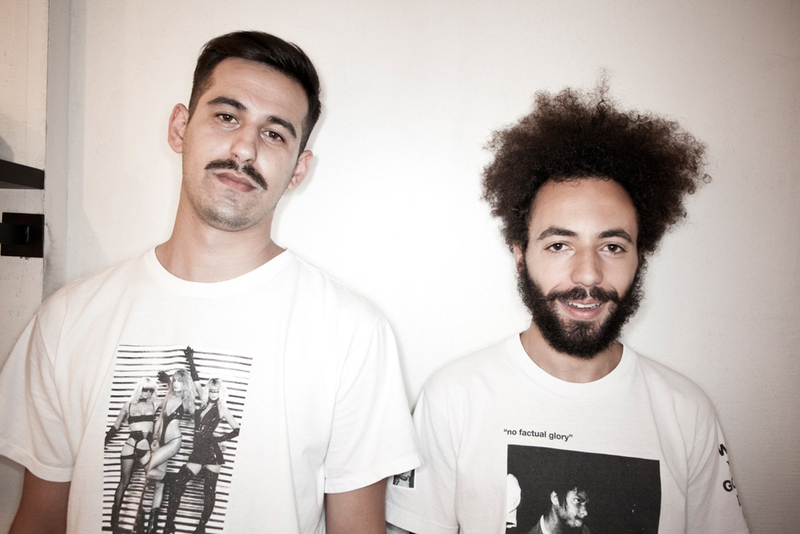 Puff Green (on the left): One half of the hip-hop/bass crew MCMXC, a new beats producer to watch out! 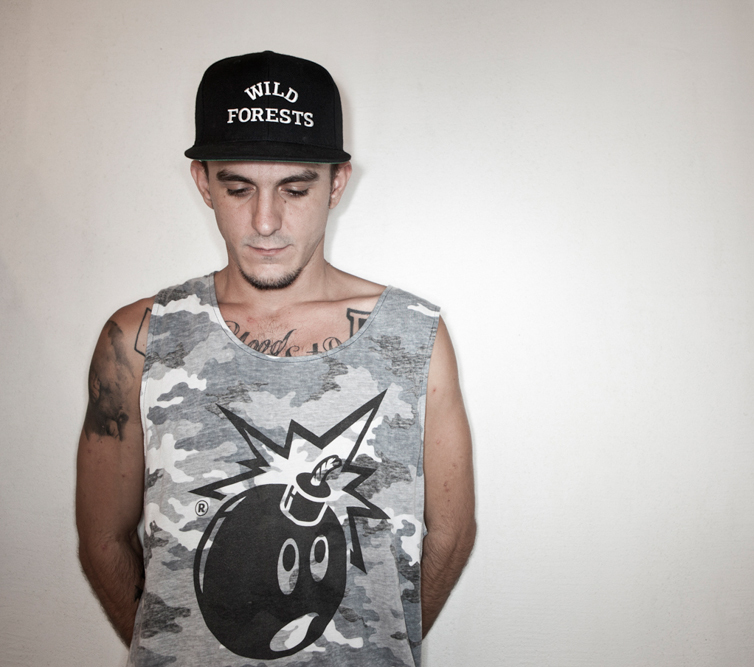 Hatemost: Founding member of Vita Peis, definitely one of the most respected local hip-hop groups. You can’t easily find an underground hip-hop group that sells out arena shows as quickly as them. They also release everything for free. 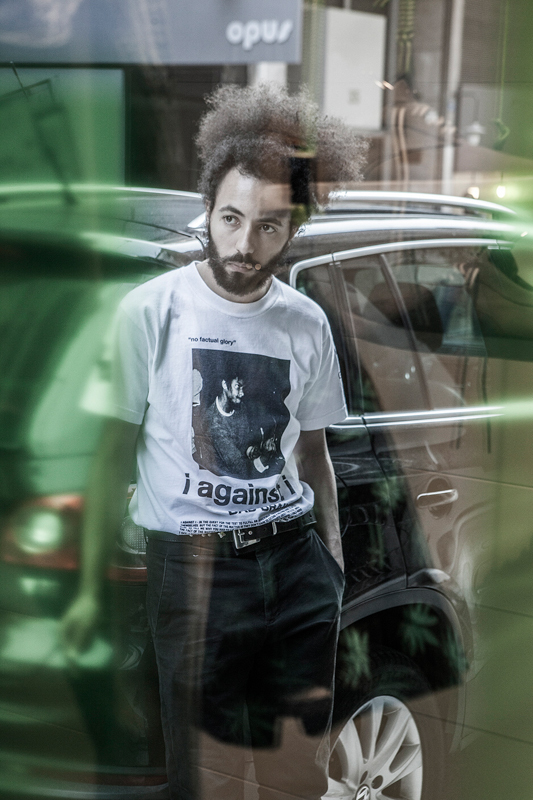 Aris: Aris’ name is synonymous with the legendary golden era ’90s skate scene. Yes, there was a golden era in ’90s Greece too! 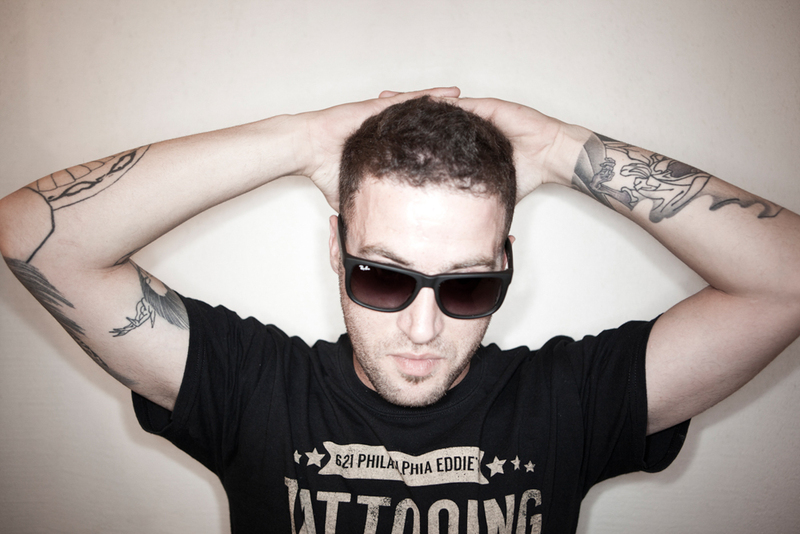 George: Tattoo artist for the True Love Tattoo, with two locations in Athens. 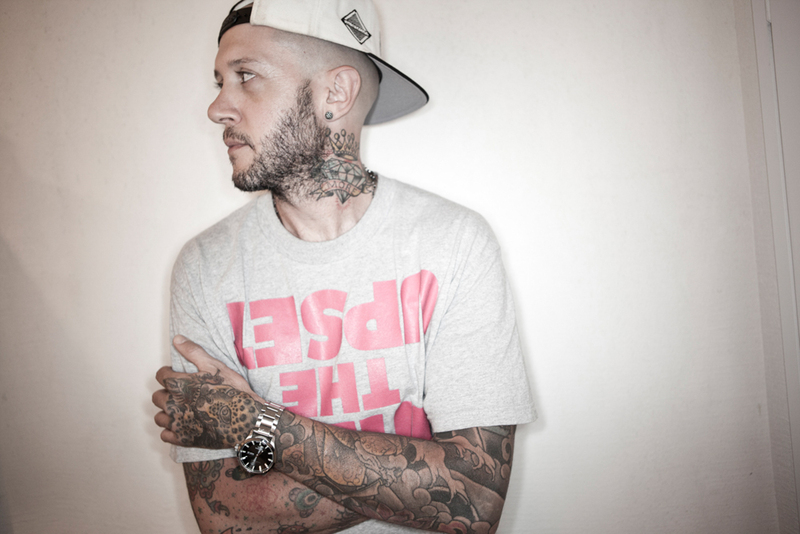 True Love Tattoo is the brainchild of legendary Greek hip hop/tattoo artist Taki Tsan. 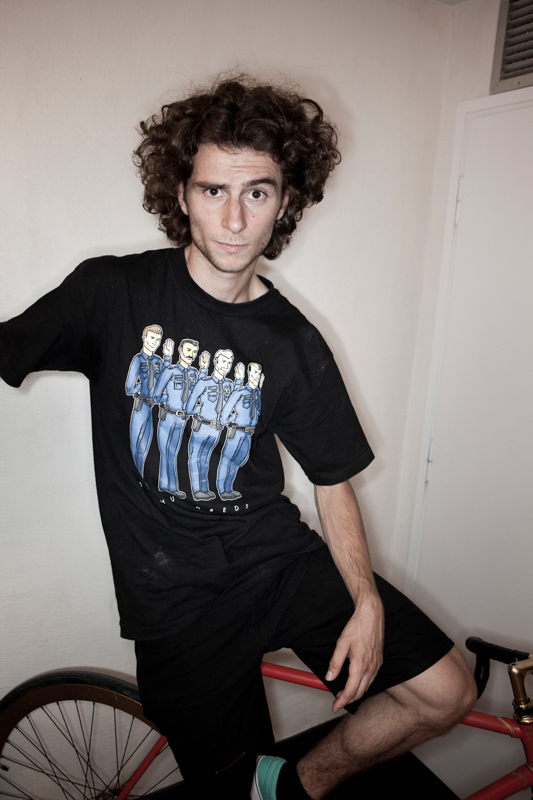 Edrit Duro: An avid skater and bicycle rider. Representing The Hundreds in Greece. It’s hard to find anyone else with so much energy in one skinny frame. 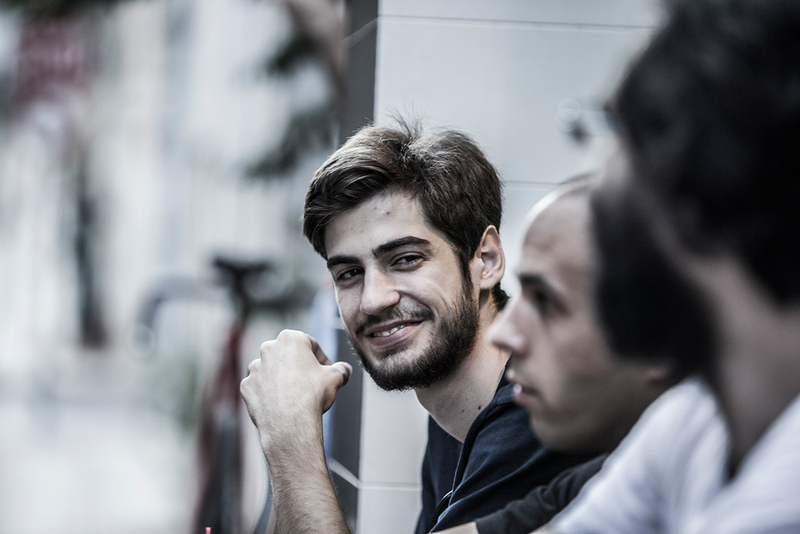 George: Head of Dynasty Group Athens, a real force in events management and hip-hop shows. Co-owner of True Love Tattoo.